My name is Ronny Boesing, and I am the CEO of OpenLedger ApS (openledger.info). OpenLedger ApS was previously known as CCEDK ApS (or Cryptocoins Exchange Denmark ApS). I started my career in the cryptocurrency industry in early 2014, and joined BitShares with bitsharestalk account (ccedk) and bts account (ccedkbts) in late September 2014. 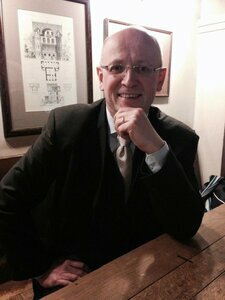 Prior to OpenLedger ApS, I worked for over 25 years as a Senior Level Manager within the music industry. During this time, I watched how the internet impacted the music publishing business in many detrimental ways, but it also brought into my life the quest to find the next big thing, something that was interesting and would match my passion, drive, and entrepreneurship. I love research and development, and I have a reputation as a savvy internet marketer and financial geek. I am always impressed by people who dare to go where others won’t – in other words, a pioneer. I also love the persistence, drive and passion behind the pioneer, and decided that this is what I needed to be – but within the realm of my new passion: Cryptocurrency. At the time of creating CCEDK, my vision was sharpened as I gained more knowledge about BitShares, the community behind it, and Daniel Larimer himself. As my company was taking shape, and I was futureproofing my strategy, I came to see how BitShares would take a key role in making my ideas successful. On the same date that BitShares 2.0 was announced, October 13th, 2015, the OpenLedger platform meant that, in fact, the BitShares decentralized exchange was created. Within a three year period, I became head of a decentralized conglomerate of ecosystems incorporating the digital tokens OBITS , BTSR, ICO OpenLedger (ICOO); the fintech trading platform OpenLedger DEX; the programmatic advertising platform HubDSP; advertising platform BitTeaser; the blogging platform The Bloggers' Club 500; the games-growth platform Getgame Aps (with its first augmented game DinoMess launching on May 15th, International Dinosaur Day); and the soon to be launched, freelancer platform, EDEV. This activity was all created in addition to the creation of the financial, administration and HR platform CCEDK, all founded and owned in full by myself and my business partner whom I have known for 25 years. I currently now have 35 people working fulltime. Although we own the platforms, the revenues on some of these platforms are shared with the OpenLedger Community – which is, in many cases, the BitShares, too. OpenLedger ApS (referred to as OpenLedger) is comprised of the OpenLedger DC, the OpenLedger DEX and the OpenLedger Crowdfunding Platform. OpenLedger offers a unique and one of kind approach to crowdfunding on the base of a Token Crowdsale on the blockchain, supporting each project from start to finish. Mitigating risks, escrow service with release of funds based on agreed milestones, exit options, programmatic advertising, content creation, media coverage, weekly news updates, and so much more, is offered to the businesses as part of the Token Crowdsale services. We believe that although anybody could in fact offer similar packaged services over time, nobody is currently able to do so, apart from OpenLedger, as we are utilizing the world's first decentralized trading platform, with the key being that it operates at the speed of NASDAQ, with approximately 3800 t/s recently confirmed. Our ecosystem is tied together in one type of service allowing us to say we offer to the business and the investor what is needed to stand strong - before, during and after a Token Crowdsale. The OpenLedger Exchange, also known as the DEX, is a part of OpenLedger, registered and located in Denmark, part of the EU. 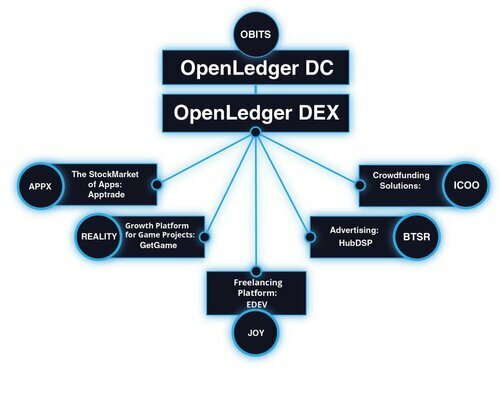 OpenLedger is a conglomerate consisting of an ever increasing amount of ecosystems of which all are decentralized one way or the other. Since the start of OpenLedger in October 2015, it has been possible to establish and create a constant flow of businesses, built on top of OpenLedger, using the BitShares financial instruments. They are all meant to become the foundation of the OpenLedger Gateway to Crowdfunding 3.0, expected to launch at the end of 2017, or early 2018, offering use cases and proof of results. As our successes grow, I will be able to showcase a platform which is producing successful ITO's, visible proof of an alpha stage model. As an active ambassador of BitShares, and based on suggestions from BitShares members, I feel it is time for me to take next step, provided there is support for this, accordingly. I officially apply for the Committee to represent the best interest of the BitShares community, and therefore, would like to ask for your support of my application. Please vote for openledgerdc. I know that every vote counts, and therefore, I would like to thank you for your consideration and support, as this opportunity is very important to our company. Creating businesses on top of the BitShares ecosystem, via the OpenLedger platform, bringing the message to the world that BitShares, with its SmartCoins, is the future. It is the wish to create a demand for BitShares through an increasing demand for solutions, all provided by BitShares through OpenLedger as the facilitator and marketeer. I see OpenLedger as an app in the near future, easily downloaded to smartphone, and used by startups worldwide – as well as brokers, traders, bloggers, media, humanitarian organizations for easy relief support to people-in-need, pension funds, insurance companies, and international corporations looking for an easy way to pay out salaries, and so on. I believe that I will be able to establish an ever increasing demand for BitShares as the fuel to make it all happen. We are investing in and building the OpenLedger Gateway with the belief that everyone will be using it in future, rolled out as a service on demand, with its own domestic bts Smartcoins after the initial international launch. The impact will be clear to everyone on a global scale, with the platform able to match the growth due to the structure of BitShares technology and its graphene toolkit. I will always be pushing the official currency of OpenLedger DC, the digital token OBITS, and by doing so, support a natural demand for BitShares. By offering the world a conglomerate of businesses living on the OpenLedger ecosystem, I hope to offer the BitShares community and the bts holders a future filled with supporters and users of the BitShares network. I offer the community the entire OpenLedgerDC as support, and promise that I, personally, will work with the best interests of the BitShares community in mind - and it is my aim to allow a fruitful cooperation across cultures, allowing a solid future for the community and all of its followers. I will always vote for affordable transactions fees, reasonable platform upgrades, increasing network security and additional benefits for liquidity providers. I will support new ideas, platform partners, and start-ups that want to join the BitShares platform - provided they are fully vetted and found to have good intentions. Please vote for openledgerdc and support the future growth of the BitShares platform. Voted. Great power comes great responsibility. [member=23432]ccedk[/member] You definitely worth the position but I will support it only/if you enable back to the web wallet to show the collateralized positions of bitassets. Last time I have checked the webwallet this future was disabled with no explanation whatsoever and I freaked out for no reason when I couldn't see my bitassets debt.